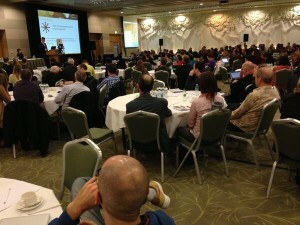 It is nearly three weeks since close to 300 Moodlers were gathered in Ireland for the Moodlemoot Dublin 2013. I would have blogged earlier, but things got in the way. This blog post just looks at some parts of the Moot from my memory. I have included some of the images tweeted by the attendees – with attribution – if anyone wants theirs removed let me know. It seems as if it was just yesterday that we were in the midst of a coffee break between the hectic schedule of panel sessions, presentations, pecha kucha and more. I am reminded of a quote from an attendee from last year – “It was 72 hrs. of relentless networking” – I think it was that, and more. The level of interaction from outside of Ireland was helped in part by our trial of BigBlueButton for providing remote access to the conference Room B Stream. This was a test which had some local technical issues which have given us some good lessons learnt for next time. The intention is that next year we will continue with this but more than likely every presentation will be streamed and not just one room. 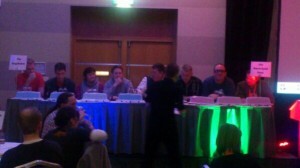 Firstly many thanks to Martin and the rest of the Moodle team who were able to be in Dublin for the Moot. It was great to have ye all there. Secondly the support of Mark Glynn and his colleagues from the Moot partner institution DCU, and the volunteers to help chair the sessions was really invaluable in having the Moot go as well as it did – serious kudos to them all. The sponsors support and participation in the Moot also needs a mention – their involvement ensures that the Moot can take place. So be sure to check out their pages on the Moot site. 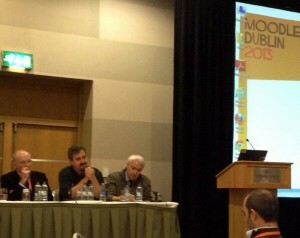 Most importantly the attendees are the core of a Moodlemoot. The contributions both as presenters and as participants in discussions, panels and the overall engagement of the Moot underpins the learning and sharing that takes place. This is what makes the a practitioner conference like the Moodlemoot so useful to so many. Hats off to you all. A special thanks too for Lynn Scarlet Clark (@scarletclark ) who did the designs for the Moot – thanks again! Lastly, a huge thanks to Marshall from AVTEK (who stepped in with his MacBook to help) – a number of beers are owed. Monday morning arrived and with it the first major influx of people registering for the pre-conference training workshops. People were registered on time, and coffee drank and then the workshops began. The day seemed to go well with a lot of engagement and effort going on in the four sessions – lots of tweets too nearly 1800 that day/evening. 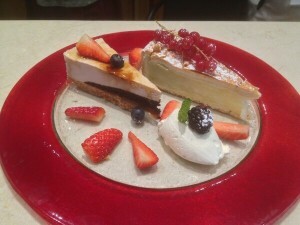 Lunch came and went and the Baileys’ Cheesecake became a star. We had made the decision to have the workshops broken into half days so that people could move between them to get a taste of a few different areas, which seemed to work well with 1/3rd of people doing one half of one session and moving to another. Next year will look at maintaining this or improving on it. A good number went into town to have a look around Dublin but for those who remained at the venue – the evening began with wine and cheese reception and then moved onto the Quiz Night. Many glasses of wine and questions later the Sugarbabes team one. It was a relaxing evening overall, which was the calm before the storm. Tuesday began the arrival of the balance of the attendees, lots more registering and the first panel session. The topic of the session was the future of online learning and we had a number of people on the panel including Martin Dougiamas, Ross Mackenzie (The Open University), Lars Smith (Hibernia College), Michelle Moore (Remote-Learner), and me. The current climate where disruptive education, MOOCs and Social learning seem to turn up daily in blogs and news articles made this a good topic to start the Moot off with. Each presenter gave a short 5 minutes personal view on where things were going and then we had a discussion and questions/thoughts from the floor. Do MOOCs provide the depth of learning needed? Where do people get the independent academic skills required to take advantage of surface learning? These themes and others tied in with the last panel discussion on the Wednesday where the globalisation of Education was tackled. After the panel, for the most part I did not get to as many sessions as I had hoped, I gave some presentations including on Using Files in Moodle 2 and on Extending Moodle with Plugins. These slides and others should be up online by the end of this week. Most presenters have given us the presentations or links to them, so it’s a task for this week. The afternoon session kicked off with a number of Pecha Kucha presentations which is a format that many seem to like now. The recordings will be worked on over the coming week or two. They were recorded in HD so fingers crossed on those. These will be going up into an archive. The Tuesday evening saw most of the attendees travel by bus to the Clontarf Castle for the Conference Dinner. It is a lovely venue. The wine and food was only surpassed by the 80s cover band (okay, so if you didn’t like the 80s perhaps it was not going to light your fire, but there were people dancing till the end). 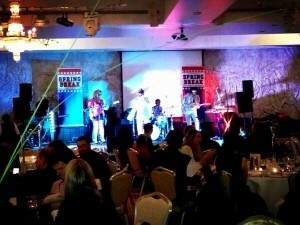 @Wheelz24 #mootie13 fantastic band tonight. 80s music rules. 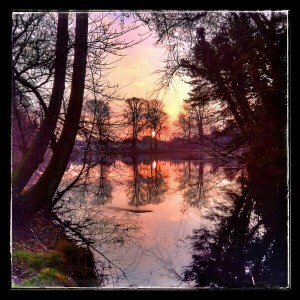 We were very lucky with the weather and Wednesday morning was particularly lovely. There is a lot of interesting information here and this will be one of the videos I am sure will see a lot of views. Mark Glynn of DCU followed Martins presentation and Q&A with a call to action for European HE and FE institutions to get in contact with them and to come together to collaborate and co-fund Moodle customisations and plugins that particularly meet the needs of the European institutions. I will post more about this in coming weeks. To end the session, I announced that in 2014 that I will be organising a Moot north of Hadrians Wall – in Scotland – but more on this later. The other presentations on Wednesday covered a wide range of subjects including a number covering LTI, Tin CAN and Moving to Moodle 2. There was no wrap-up session for the Moot, by design. This came mainly from the reality that a lot of flights were leaving at 6pm, or even some at 5:30 which meant some people were vanishing from 3:30 onwards so that it became harder to choose a time for all to stop without making it a much shorter day. We did receive feedback that a formal wrap up would be nice so we will look at reviewing this next year. On Wednesday evening Martin Dougiamas presented to students at Dublin City University on managing an open source project. 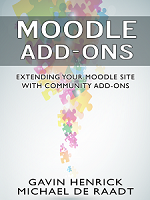 This was an interesting angle on Moodle, and one where I learnt stuff that I had not known before then, such as how some features of Moodle evolved to support Martin in writing his thesis. The Thursday Moodle Hackfest was added to the schedule this year in direct response to feedback from the Moot in 2012. Although having developer training workshop on the Monday is a good thing, having a more advanced discussion driven developer-only day was something that we hoped would work well. From the feedback on the day and since from some participants certainly seemed to indicate this was a success and productive. Based on that it is definitely going to be repeated next year. There are still some things to finish off including linking the presentations from each of the presenters, finalising the work on the video recordings, which I hope a good portion will be done this week. Thinking about 2014, things have progressed nicely with the organising of the Moot for 2014 north of Hadrian’s Wall. Discussions are underway with a partner institution – and dates & venue will be announced in coming month or two. 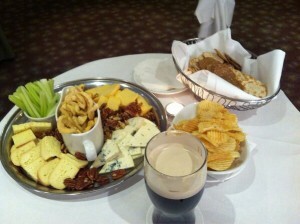 The goal is to keep the format of the two Dublin moots and hold it at a Hotel Conference venue again but in partnership with a local Institution. More info when we have it. Also there has been an approach for 2015 as well, which looks very promising too. Thanks to Twitter and the BigBlueButton software, I was able to participate remotely (9th most prolific tweeter!) and for free, too. I half expected the streams to be available for a fee and so I’d have to ‘participate’ from Devon via Twitter only, but very happily that was not the case, so thanks indeed for providing that service.